The Rimfire match is a benchrest match that offers 3 different classes of competition: Plinker, Sporter, and Unlimited. Each class may use differing targets and/or distances to provide a highly competitive match for rifles straight from the factory (Plinker) to highly customized rifles (Unlimited) and those in between (Sporter). We award Ribbons for the top 3 positions in each class and welcome Junior shooters. The Rimfire Match first began at as an ARA Benchrest match. Over the last several years the match has intentionally moved to a multi-class format to provide a competitive experience for all levels of shooters using all kinds of rifles. Both .22 and .17 rimfire rifles are used. Iron sights and scopes are permitted. Match setup begins at 8 am. Shooters select a bench, setup their equipment, register with the Match Director. A safety briefing is conducted before the match begins. Targets are set at 50 or 100 yards for the first of two scored targets. Each target provides a Sighter to allow shooters to calibrate their sighting, then competition rounds are fired. Participants should bring some form of front rest. If a rifle is not equipped with optics, a spotting scope, binoculars, etc. is very helpful for fine tuning windage and elevation adjustments. Some of these items are available for use from the club. 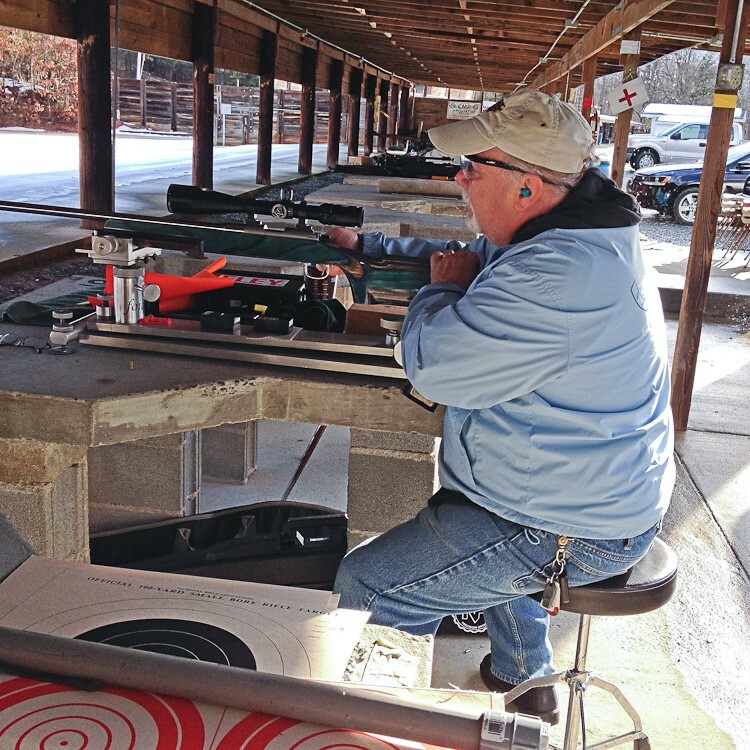 Targets are scored by members of the Rimfire Rules committee and those interested in learning to score. Results are tallied and winners are announced. After the match, the results are emailed to all participants. The cost is $ 5 per shooter, per rifle. The match offers the opportunity to shoot two different rifles, first at 8, then again at 10. Targets are from either NRA or ARA. 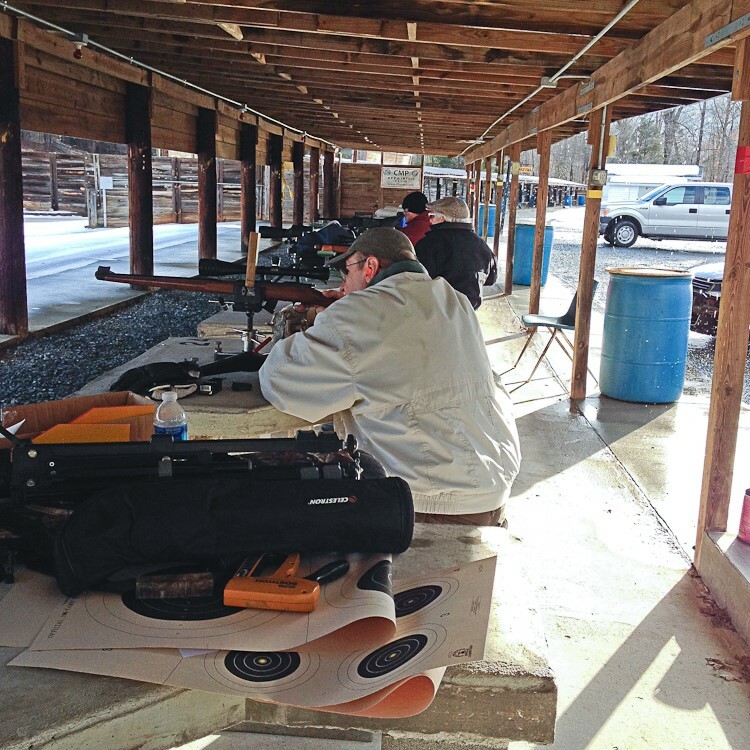 The Rimfire match is held the 3rd Saturday of each month. It offers participants with any kind of Rimfire rifle, from a Ruger 10/22 to Anschutz Match rifles, from iron sight to high powered scopes an opportunity to learn to shoot in a friendly competition, meet like minded shooters who are very willing to assist, discuss or mentor shooters. Improve your shooting abilities while operating in a very safe, friendly environment. New shooters are welcome. The public is invited.